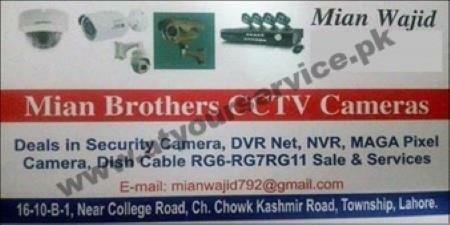 Mian Brothers CCTV Cameras is located at Ch. Chowk, Kashmir Road, Township, Lahore. We deal in security cameras, DVR Net, NVR, Mega Pixel Cameras, dish cable RG6-RG7RG11 etc.